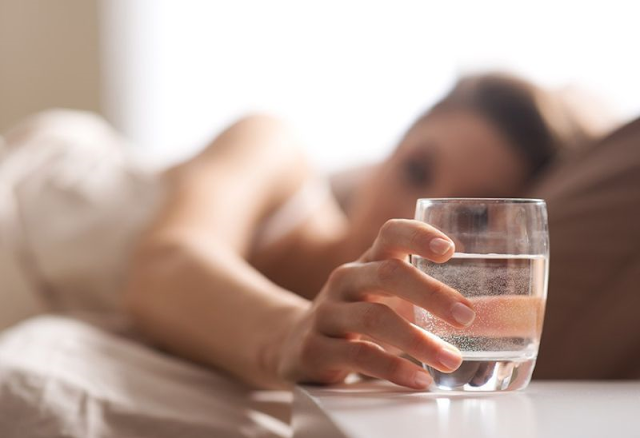 Many people have the habit of drinking water from their nightstand. Since we were young, our parents taught us to drink a glass of water the minute we wake up, so we tend to leave a glass of water on our night stand and drink it in the morning. However, this is not healthy at all. You have probably notices that the water has strange and different taste. Water, unlike food, does not contain sugars and proteins which can be easily targeted by microbes and to come to pollution. However, there is still no explanation why the water has strange taste when it is left on the nightstand throughout the night. The best explanation is that a large amount of dust and bacteria can be gathered in that glass of water. When exposed to air, water tends to absorb carbon dioxide and a small part of that CO2 is converted into carbonic acid. This means that when water is exposed on air, it changes its chemical composition.When carbon acid releases one or two protons and is turned into carbonate or bicarbonate, it lowers the pH of water and thus change its taste. As you can see, this does not mean that the water is bad, but it have certainly changed the taste after standing all night in the nightstand due to gathering bacteria and dust from the air. Now when you know this, I am sure that you will hesistate to drink this water.